This is the follow-up to our beer-brewing post in which we made a white beer (with coriander and orange). 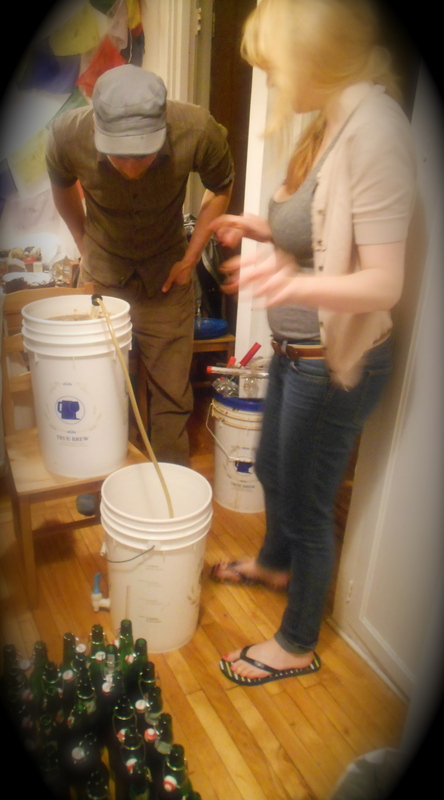 After we made the beer and transfered it into our five-gallon pail, we let it ferment for two weeks. The beer should stop bubbling and then stand for approximately one more week. The brewer who sells us our ingredients strongly recommended getting a hydrometer to more accurately measure the end-time point. We got the tool and tried using it but it didn’t work too well for us. We’ll be trying it again, but either way the beer turned out fantastic! I tried it today after a long day of travelling and what can I say – it’s everything I could ever ask for in a white beer; light yet flavourful with a smooth and toasty caramel flavour from the honey and coriander. So here it goes: bottling and tasting. First comes the dirty work: cleaning all the bottles. Again, all the equipment has to be sanitized with a food-safe product. Next up, you want to add a bit more sugar to the batch. This will provide the yeast with a little more food in order to carbonate the beer. To know how much sugar to add, we used a beer-calculator like this one. It depends on the temperature so have your thermometer handy. 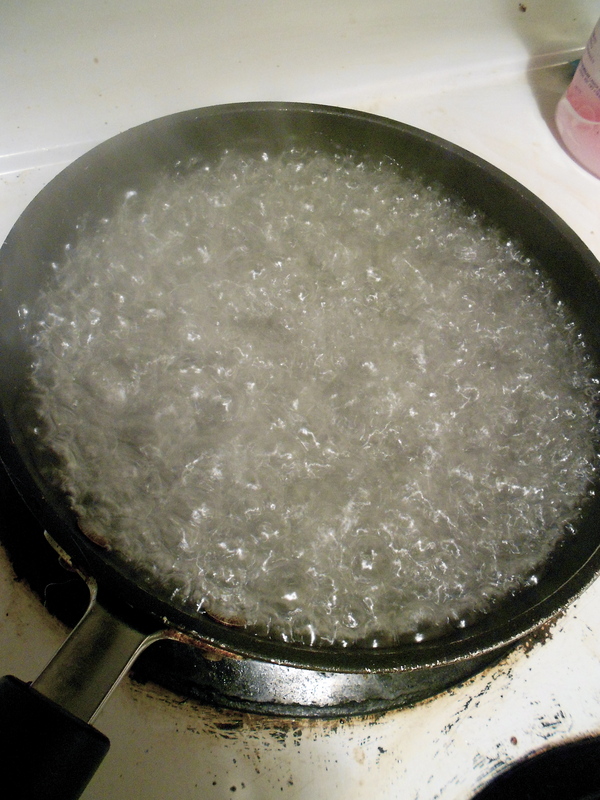 You will want to boil just enough water to dissolve the sugar before adding it to the batch. 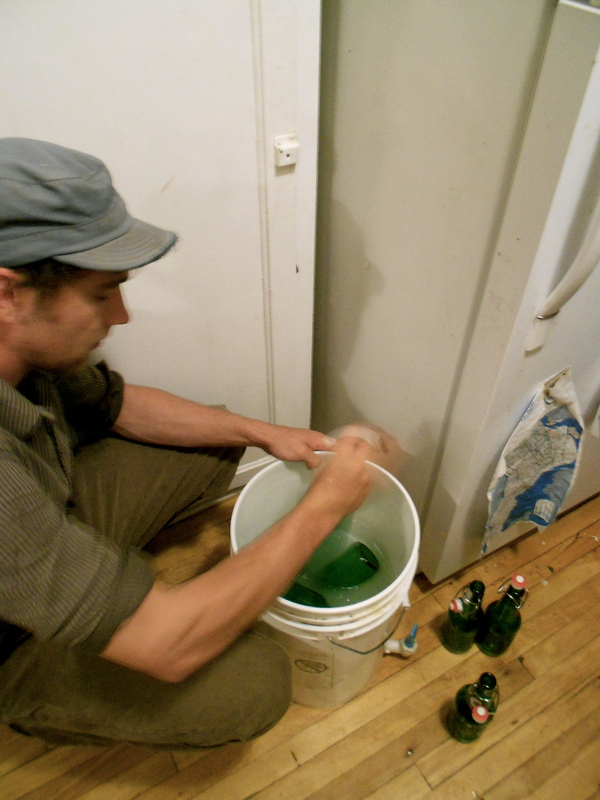 Then comes the fun part; use a syphon to transfer the contents from the working pail into a second (sanitized) pail. When you do this, you’ll want to make sure that the pail is set up high enough so there will be no need to move it. 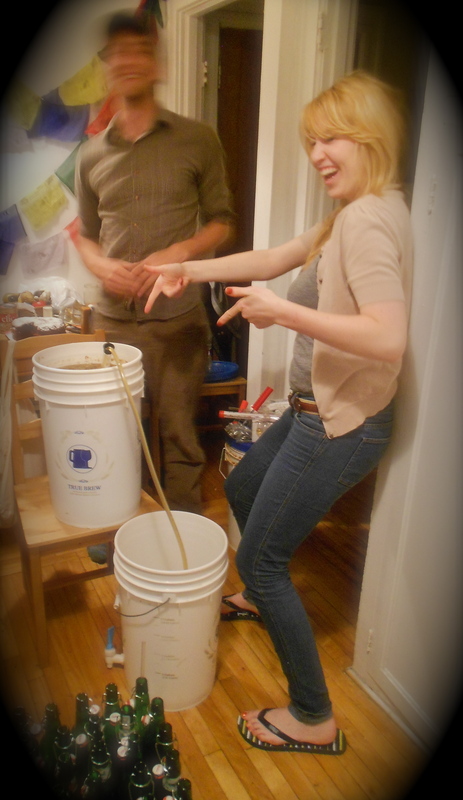 This is because if you move the syphon, the hops and the yeast will be taken up and can clog your tubes. Yeah, it happened to us… this is how we know. But worry not… Jan took care of the problem and then we were rocking and rolling again! But it all worked out in the end!